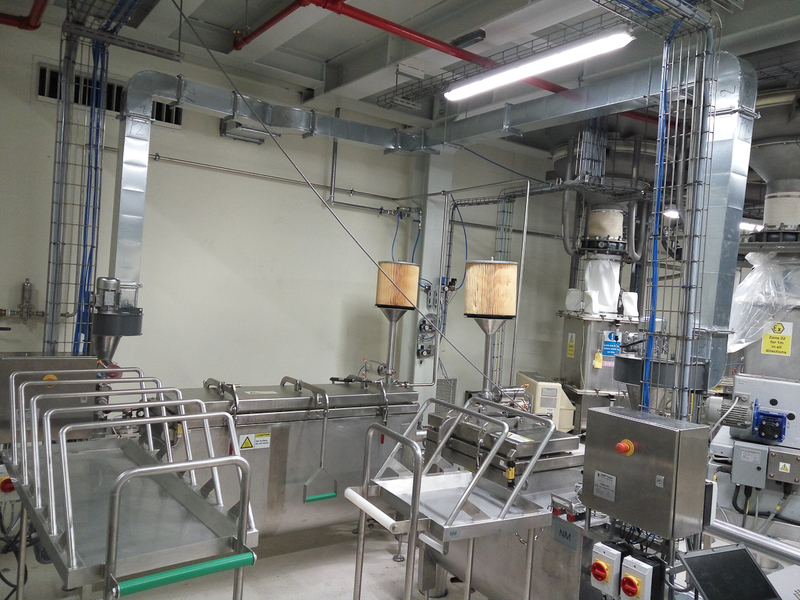 Project background: The customer decided to relocate it’s gum production capacity form Ireland to Turkey. 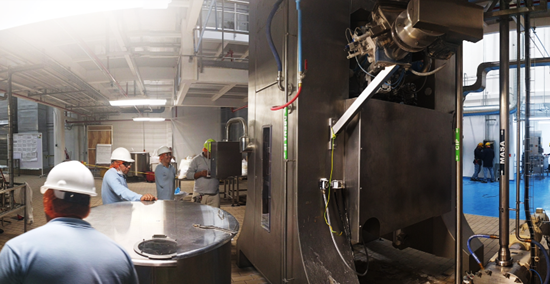 Most of the old equipment was relocated to Turkey by the customer, except the ingredient handling for fat. These fat is used in manufacturing of artificial sweetener that goes in the recipe of chewing gum. The used type of fat was behaving more as a high melting point wax, requiring temperatures up to 110 °C for melting. This is unusual for regular food industry solutions. Initially, in Ireland, fat was delivered molten by truck, but in eastern Europe this was not possible. The wax blocks needed to be melted and stored. 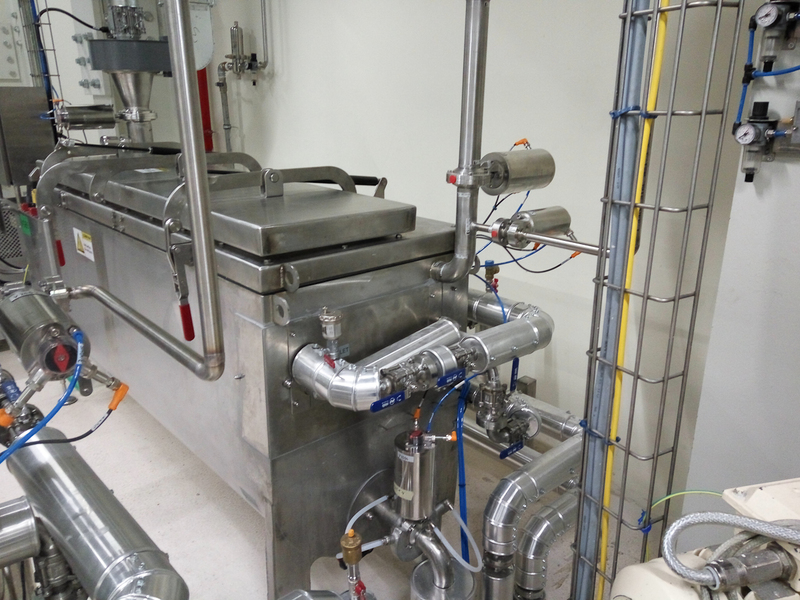 Target: (Re)Design, manufacture, test and supply new & innovative fat melting & handling system for fat. The system in the original location was posing a great amount of operating problems, generating frequent production stoppages. This (design) problems needed to be overcome. 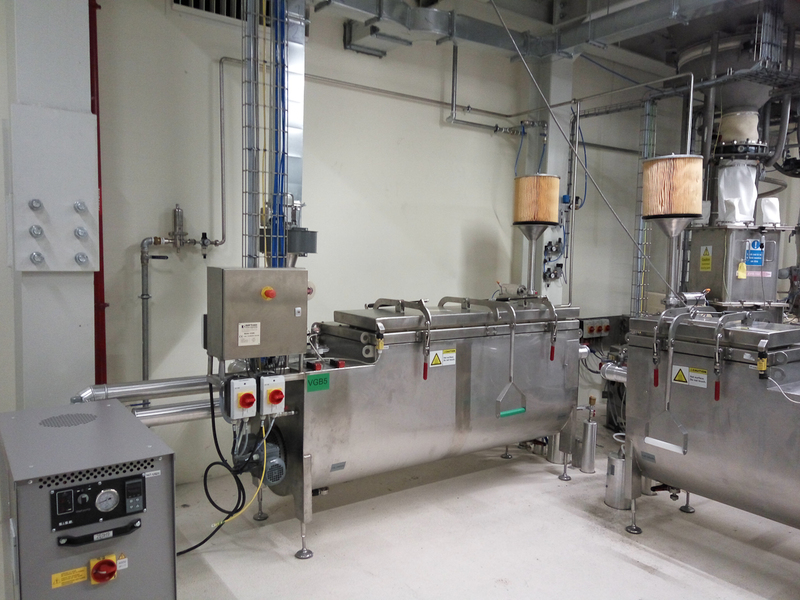 Melting equipment pressurized by nitrogen with non-heat-transmitting stirrer. 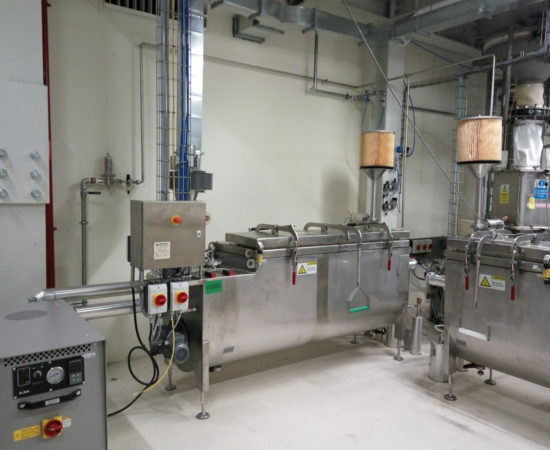 Storage tanks that do not allow product crystallization. 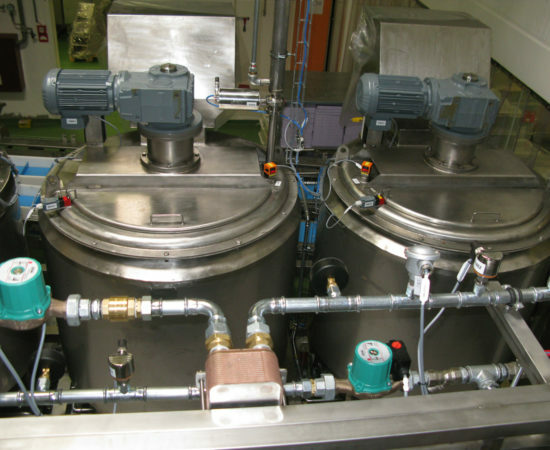 Highly accurate dosing and recirculation systems. Powerful and reliable heat sources. 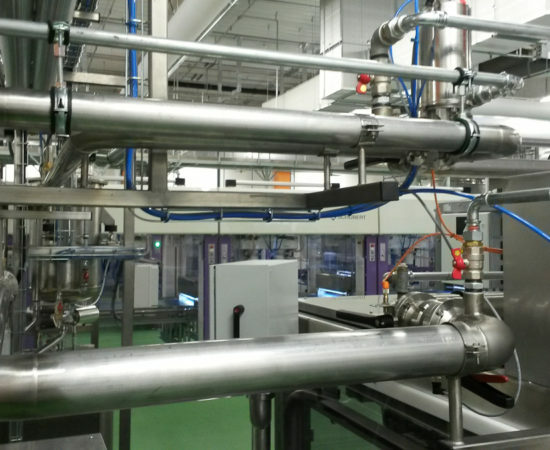 The greatest outcome of the project is the contribution of improved line General Efficiency factor of the line, much higher than the calculated target, during the first production days. The line was expected to reach 65% efficiency, but achieved 82%. 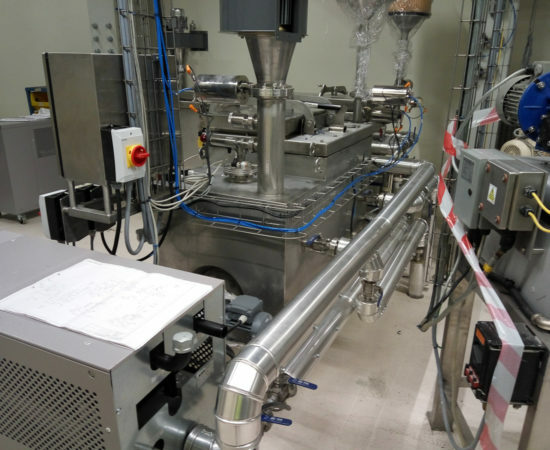 Project background: Chocolate manufacturing consumes a high amount of sugar, next to other ingredients, that are mixed and ground together into a very fine paste before becoming the soft product we know. Handling sugar is easier if the sugar is 100% small size crystals and now powder. But powder containing crystal sugar is much cheaper and of course harder to handle. 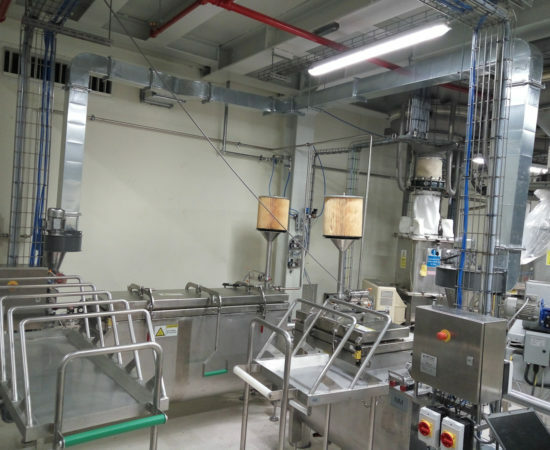 Our customer decided to upgrade its existing sugar handling system to be able to handle a greater capacity and also a large percentage of powder sugar. Target: Redesign and upgrade the existing sugar handling system assuring a higher capacity, powder content capability and high efficiency. powder sugar requires a more technically strict approach. 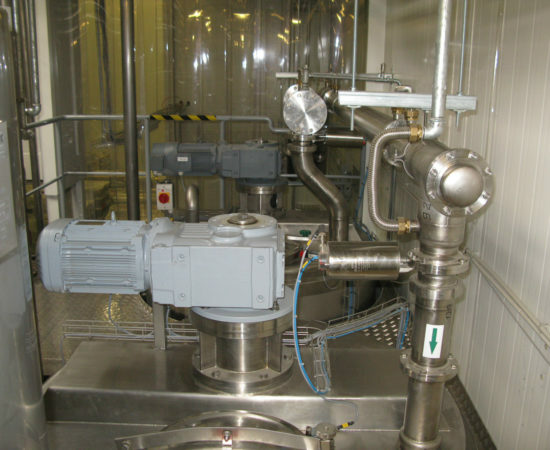 humidity and compactation poses a blockage threat. high velocity poses an explosion threat. whole system needs to have a no compromise explosion preventing design. the existing capacity was already high while the request was to almost double it, getting close to the technical’s approach limit. 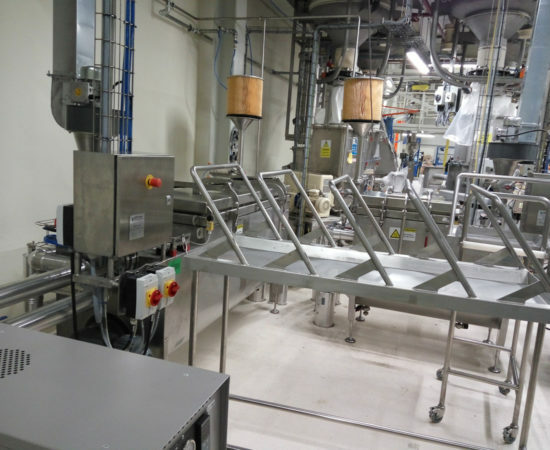 instead of regularly used screw conveyors, we have decided to implement innovative vibratory tubes conveyors, changing the customer’s paradigm. 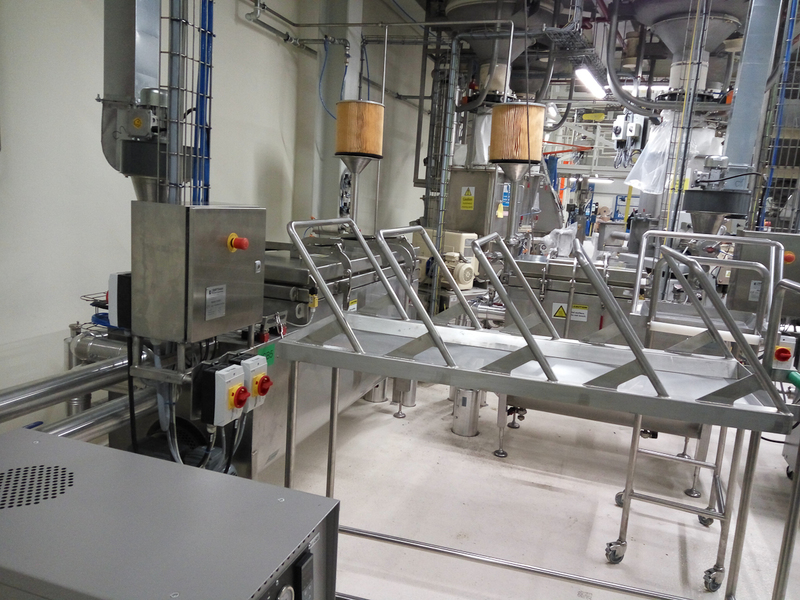 compactation was avoided again by use of vibrations, humidity and explosion risk have been handled by air cooling. only explosion preventing equipment has been integrated, after a rigorous design phase and sub-suppliers involvement. 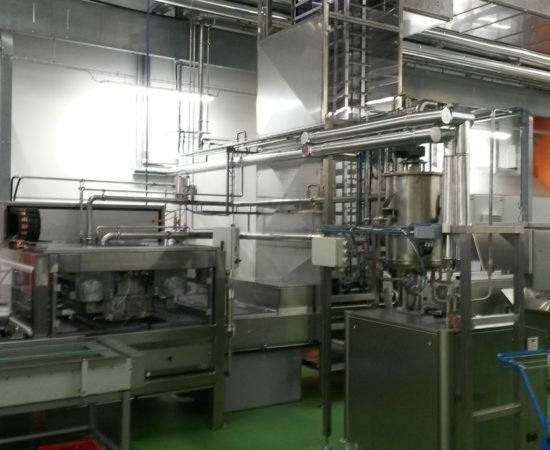 in order to reach the high transport and distribution capacity, all integrated equipment has been checked and proofed to be able to safely work at the top limit. Silo discharging by pneumatic transport designed for high capacity. The product was conveyed 3 stories high. 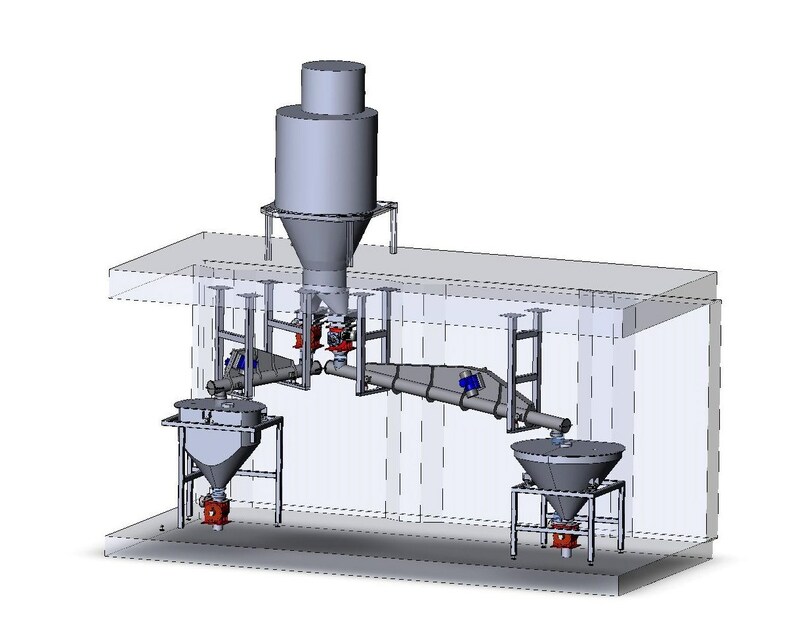 Product distribution system realized by innovative vibratory conveyor integration. An almost doubled capacity. The greatest outcome of the project is the contribution tour customer’s cost cutting efforts and by implementing one of the first such mixed product systems. Target: Develop a highly flexible outside and inside storage system, capable of handling 2 to 3 different chocolate recipes. 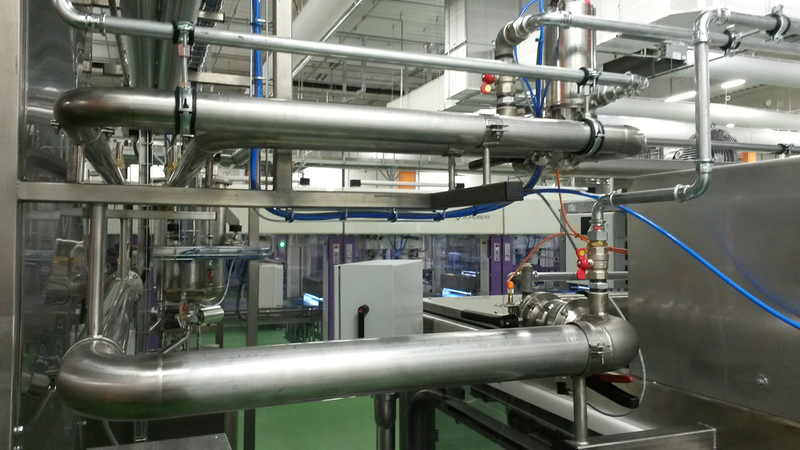 The system needed to be able to do line dosing and also assure high efficiency product rework. 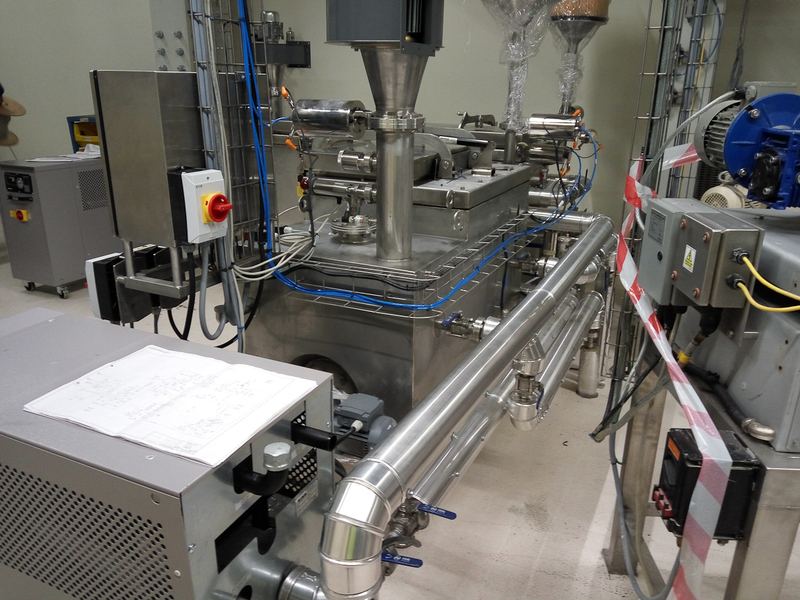 Flexible transfer system and elaborate dosing possibilities. Capability of recuperating 80% of the chocolate form non-shelf-worthy but safe product. Project background: Original project was meant to be installed in Russia, but, due to the international restrictions, the customer decided to install the line in Monterrey Mexico. 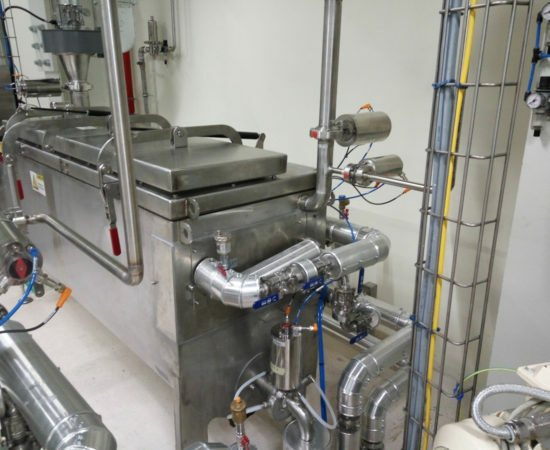 The initial request was for a system capable of transferring the dough from mixers into special designed buffer tanks capable of maintaining the requested temperature (fitted with cooling and heating units), then through a pressurized transfer system to feed the depositors. 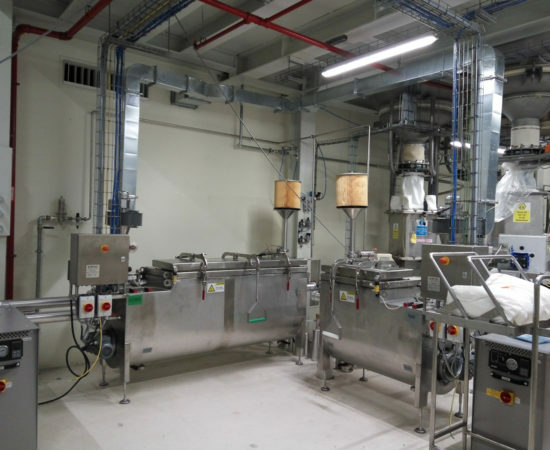 The buffer tanks, pipping, mixers, depositors were automatically cleaned with a CIP system specially designed to reduce cleaning time, and increase productivity . 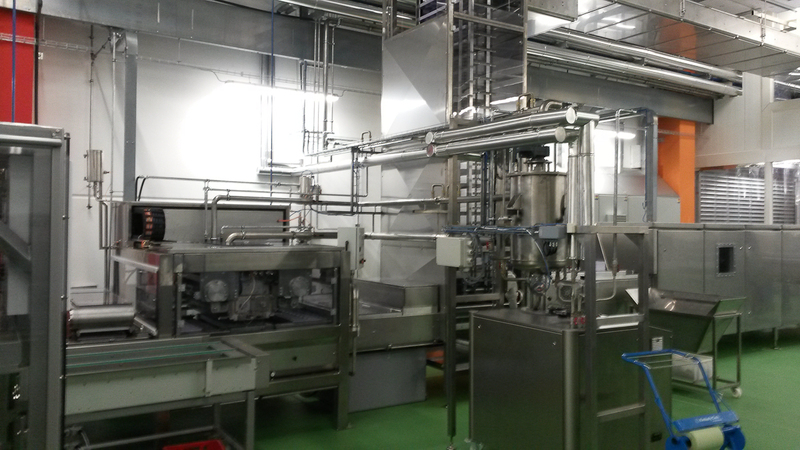 raw material (liquid and powder) transfer, buffering and dosing. dough buffering, transfer, and CIP. filling buffering, transfer, pigging recovery system and CIP. As initial system was built for Russia where we have power supply at 50Hz 400 V, The line was reconverted for Mexico electrical standards where the power supply is 60 Hz at 480V, Also UL electrical certification was required. 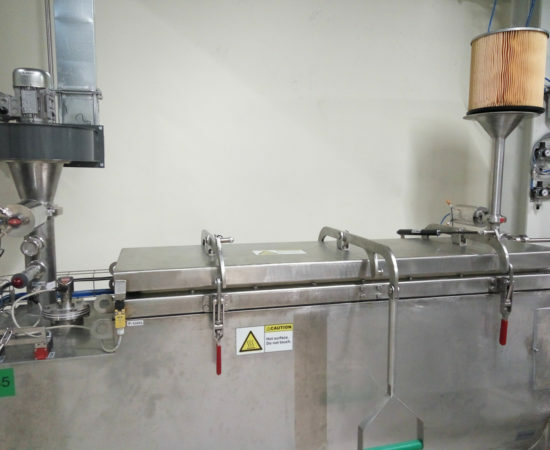 On the ingredient handling side Raptronic installation scope is to manage the recipes and supply the ingredients to the mixers: Dough, Paw & Filling. Glucose handling system consists from double heated container unloading station. 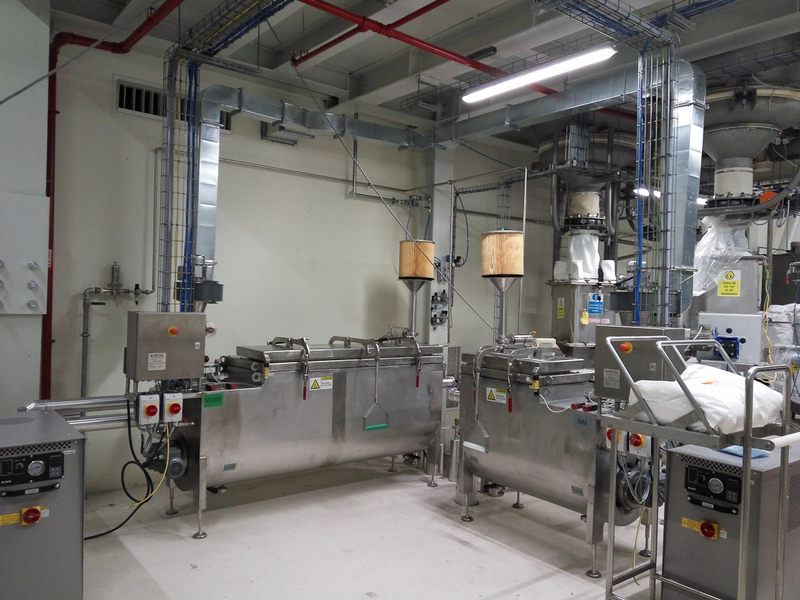 Glycerin handling system consists from a double container unloading station. 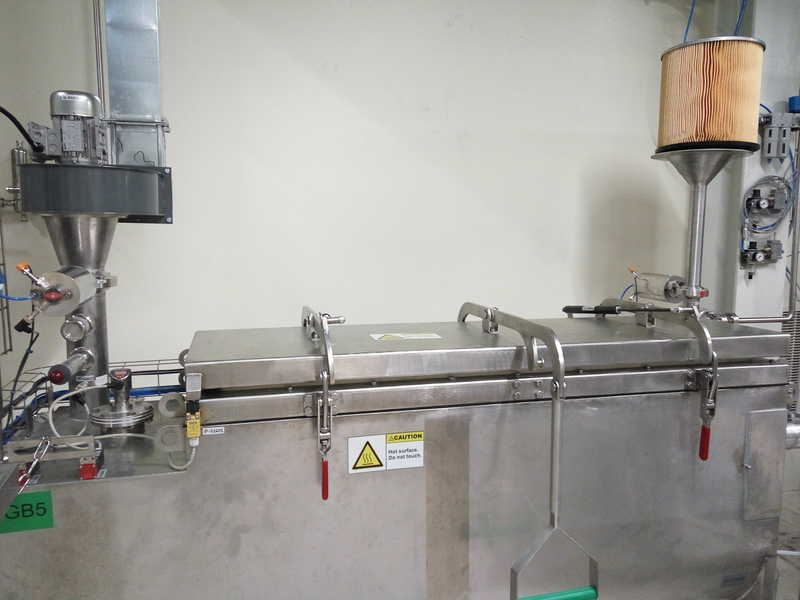 Canola oil is dosed in the mixers from existing installation trough flow meters. 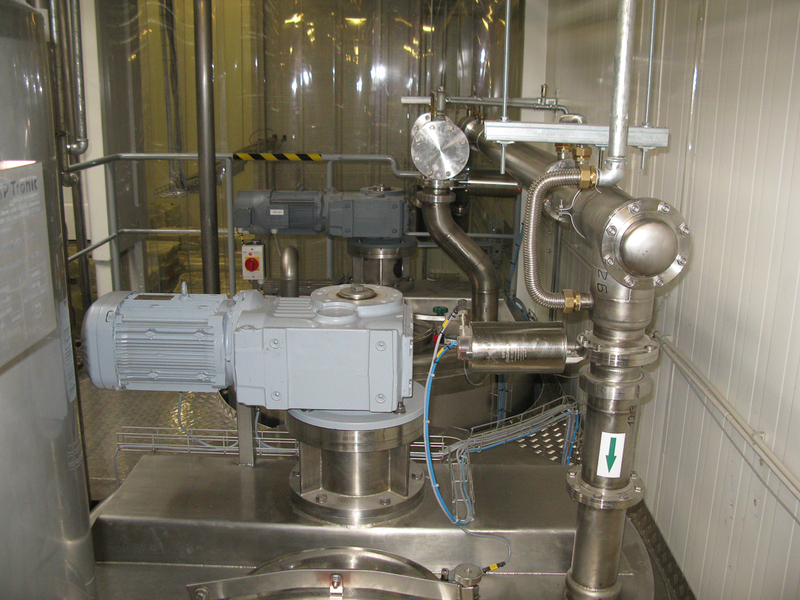 Chocolate melting, buffer and dosing system. Each zone has its own dedicated CIP station. 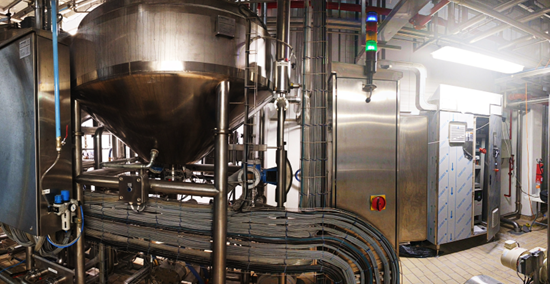 CIP stations are custom designed for each part of the line system. Product recovery consisting of pigging system.